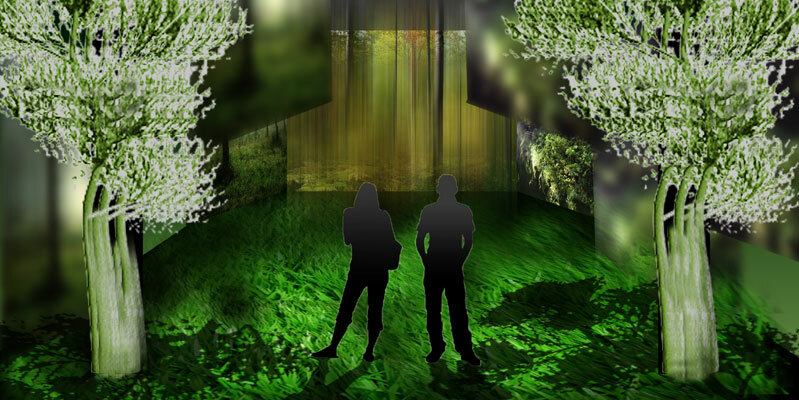 MEDIATE Art Group’s highly anticipated Illuminated Forest opens July 9th and runs to August 7th at The Lab in San Francisco. This Black Rock Arts Foundation supported exhibition features an artist-imagined multimedia environment by Agnes Szelag, Ben Bracken, Jorge Bachman and Alan So in which viewers activate both visual and auditory sensations. The installation includes environmental pieces by Suzanne Husky, Jessica Resmond, Reenie Charriere, Vaughn Bell, Alyce Santoro, Sam Easterson and Elin Oyen Vister. This experiential exhibit actively reminds people that what we do has impact: on our own lives, on others, and the world around us, both in the present and the future. The Forest will host experiential performances by some of the most compelling local, national and international artists and musicians. entitled GREEN SOUND, that began June 6 and runs to August 13.